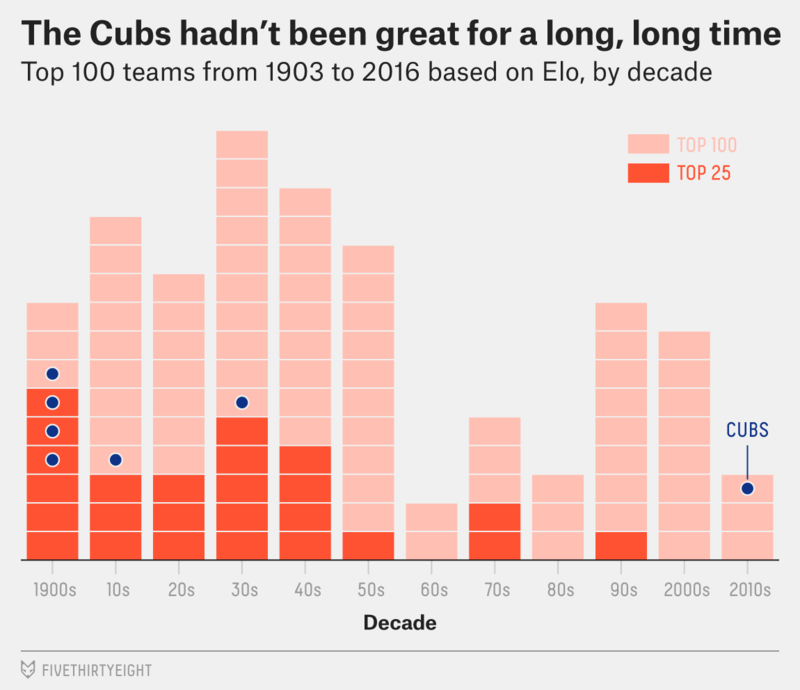 Back at the start of the season, we ranked the dominance of every team in every season of MLB history using Elo ratings, a measure of relative team strength. The 1939 Yankees came in first, the 1906 Cubs second. Now that 2016 is done, where did this season’s Cubs place? Our updated rankings are below, but you’ll have to scroll a bit to find the 2016 Cubs: They came in 70th. 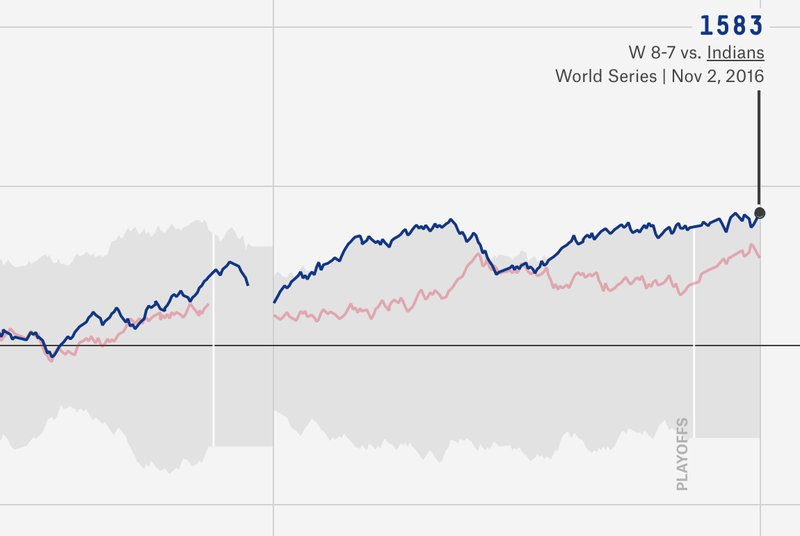 In fact, the 2016 Cubs were the most dominant baseball team since the 2009 Yankees, who ranked 33. Chicago might not be one of the greatest baseball teams in baseball history, but it’s one of the best in recent memory, and with a young, talented roster, there’s no reason to think they couldn’t match or beat their performance in 2017.